Gymnosperms have received less attention than angiosperms in past studies, but recent work on gymnosperms, especially that of paleobotanists, has contributed significantly to a better understanding of the evolution of vascular plants and their phylogenetic relationships. In this book, Charles Beck has brought together a number of outstanding international experts ta synthesize state-of-the-science data and present their own recent original research. The companion to his acclaimed book on angiosperms, this compilation will bring about important changes in ideas about gymnosperms. This work the only one of its kind available, is timely for several reasons. First, some of Rudolf Florin's time-honored interpretations of early conifer morphology have been contest1ed recently. Second, well-preserved remains of primitive seeds and male reproductive structures and anatomically preserved axes that have allowed detailed studies of primary vascular systems have been discovered. These fossils are providing significant new information or more accurate information than was available in the past. 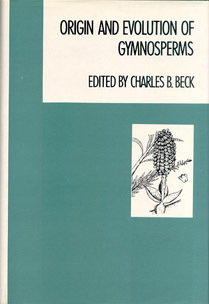 Third, information about gymnosperms of the Angara flora has become more accessible through the recent tendency of several paleobotanists in the USSR to publish in English. Fourth, the use of new methods of phylogenetic analysis, while supporting some longstanding concepts of relationships, has also led to some new ones. Topics and contributors have been chosen to emphasize evolutionary patterns and phylogenetic relationships rather than merely descriptions of morphology and anatomy. Each chapter is a synthesis of the most recent data and, synthesis of the most recent data and thought about a particular group or sub-area, and most include ideas and analyses reflecting the recent research of the contributors. Thus, this book presents a summary of what is known about these subjects including significant new information and analyses that will certainly stimulate more research in a field where there is still much to be learned. CHARLES B. BECK is Director of the Museum of Paleontology, and Professor of Botany at the University of Michigan, Ann Arbor, and editor of Origin and Early Evolution of Angiosperms (also published by Columbia University Press). During the past two decades significant investigations of broad evolutionary patterns and phylogenetic relationships among seed plants have been undertaken both by neobotanists and by paleobotanists. Whereas most of these have dealt with angiosperms, gymnosperms have been largely neglected. This book, which considers gymnosperms and their immediate ancestors, the progymnosperms, is an effort to correct this imbalance. It consists of contributions from. an' illustrious group of authorities who together present the current state of the science. Each paper is a synthesis of recent data and thought in a particular subarea, and most papers also include original ideas and analyses reflecting recent research of the contributors. This book is timely for several reasons. First, some of Rudolf Florin's time-honored interpretations of early conifer morphology have been contest1ed recently. Second, there have been important discoveries of very primitive seeds from the late Devonian, some with preserved anatomy. Third, anatomically preserved remains of primitive conifer cones and compression specimens of conifer cones with well-preserved cuticles have been discovered in the recent past. These late Pennsylvanian and Permian fossils are providing new information or more accurate information than that from the compression specimens studied by earlier workers and, consequently, are yielding new interpretations. Fourth, material on pteridosperms, cycads, and cordaites demonstrating the organic connection of several organs or branch orders, or new morphological characteristics, has been studied recently in several laboratories. Fifth, gymnosperms of the Angara and Gondwana floras are being studied by several paleobotanists. Finally, new methods of phylogenetic and morphometric analysis are now being employed by many paleobotanists that are leading, in some cases, to new and different interpretations while, in others, corroborating earlier ideas and conclusions. Topics and contributors have been chosen to emphasize evolutionary patterns and phylogenetic relationships rather than merely descriptions of morphology and anatomy, although the latter necessarily comprise important parts of most contributions. Several papers consist largely of detailed phylogenetic analyses. The objective of paleobotanical research on gymnosperms is ultimately to understand their origin as well as the pattern and pathways of their evolution. This book, while presenting a summary of some of what is known about these subjects, and significant new information and analyses, also clearly demonstrates how little we really know and how much is yet to be learned. We hope it will stimulate more research that will contribute toward the achievement of our ultimate goals. I wish to acknowledge the contributions to this book of Dr. William E. Stein, Jr., who has assisted me in many important ways throughout the planning of the project and the preparation of the manuscript for publication. He has been of inestimable service in facilitating the computer-assisted duplication of individual manuscripts, and, more important, he has served as a discriminating and highly knowledgeable reviewer of several manuscripts. Many thanks, Bill.